Halloween McNugget Buddies were SO GOOD. | Dinosaur Dracula! 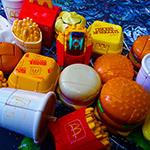 I will always be loyal to McDonald’s, and that has little to do with the company’s food. God knows how many paper-wrapped cheeseburgers I tore through during adolescence, but what I really loved about the place was how it could turn nothing days into something days. This was especially true during the Halloween and Christmas seasons. 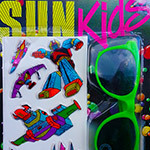 When I was growing up, that was when McDonald’s busted out its best promotions, turning garbage trinkets into must-haves, and giving every kid a reason to beg Mom not to cook. Through these promotions, McDonald’s taught us that holidays weren’t just single days, but monthlong events constantly building to a crescendo. If that sounds like a stretch, I’ll remind you of the time they gave away Chicken McNugget figures dressed like Frankenstein, and how that made the second week of October feel like the last. Yep. Halloween McNugget Buddies. 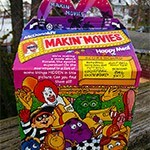 Second to those adorable trick-or-treat pails, they were the best Halloween Happy Meal McDonald’s ever did. 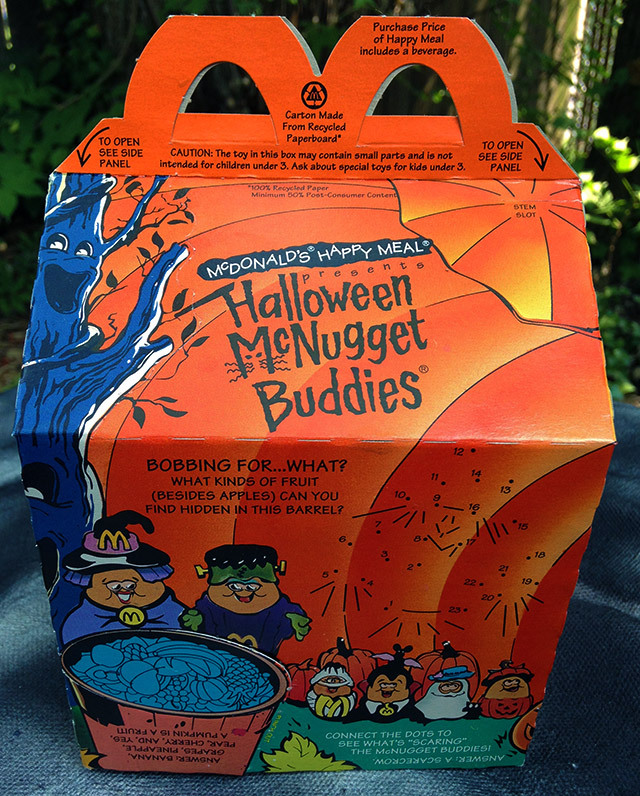 The first McNugget Buddies promotion came in the late ‘80s, but back then, there was no Halloween branding. By the early 1990s, someone put two and two together and realized that costumed McNugget figures made perfect sense for Halloween. At the time, Happy Meal “duds’ were few and far between, but the Halloween McNugget Buddies still shined brighter than almost every other set. We’d already been fed a steady diet of TV commercials that portrayed Chicken McNuggets as living, breathing characters with human facial features, and now we had a chance to OWN one of those cute fuckers. Really, the removable costumes were just gravy. 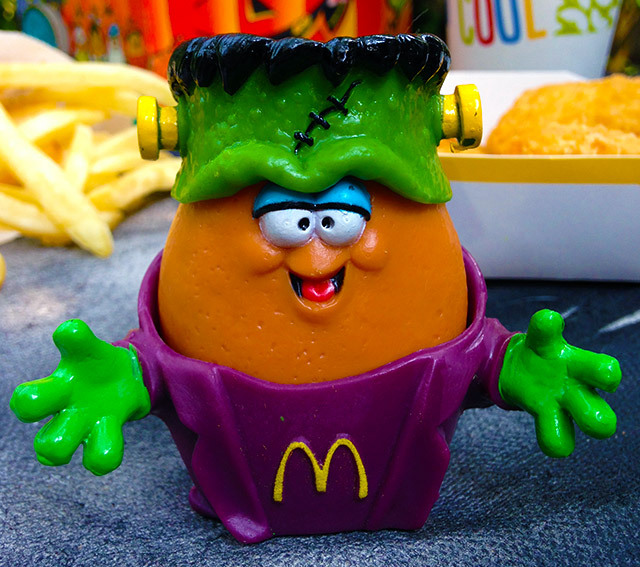 In truth, I was already a little long in the tooth for Happy Meals when Halloween McNugget Buddies became a thing. Did that stop me? HELL no. I mean, think about the Halloween seasons of your childhood. In many ways, we have more fun with it as adults. Back then, we had Mischief Night, trick-or-treating, a few airings of primetime television specials, and… that was pretty much it, give or take. 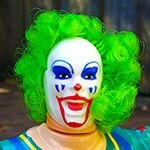 So, the fact that McDonald’s did such a cool Halloween promotion wasn’t only appealing on a surface level. Them doing so meant we could turn one more night into a celebration of all things spooky. That counted for a lot. 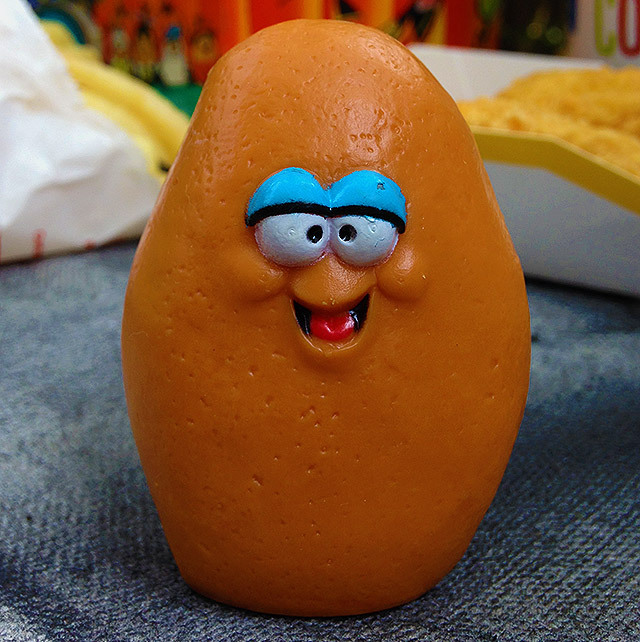 Shown above is Monster McNugget, one of the six McNugget Buddies available in 1993. In a neat touch, the costumes were completely interchangeable, so if you wanted your FrankenNugget to have feminine eyes highlighted by purple eyeshadow, that was entirely possible. 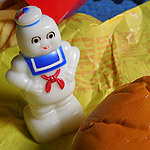 I look at the Monster McNugget now and just see a fun little toy, but back then, this was such a major event. 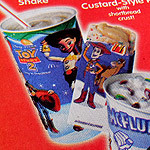 Between the colorful box filled with puzzles and pop-off bats, and the cheeseburger, and the soda, and the weirdly exciting trip to the mall to make all of that happen, this Happy Meal was the children’s version of a night out. 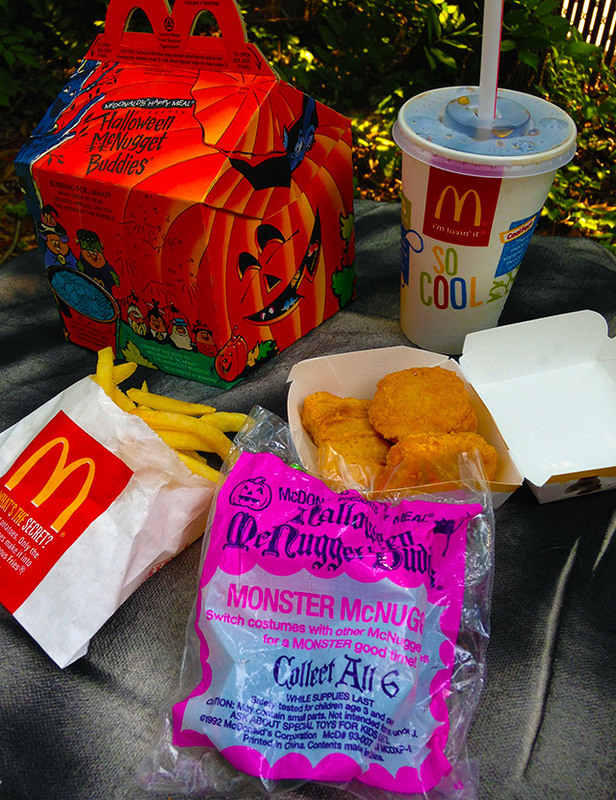 Thank you for existing, Halloween McNugget Buddies. PS: It’s been a while. Stop being a stranger.